 20:30 – 23:00 – Registration – Metropolis, Henryka Sienkiewicza 7 str.  08:45 – 19:00 – Volleyball Tournament – Sports Hall at E. Lokajskiego 3 str.  23:00 – sky is the limit 😉 – Volup Party – Revolution, Henryka Sienkiewicza 6 str. To kick-off the VSC’18 weekend, we would like to invite you to Galeria Club. It is located in a central part of Warsaw, where you can warm up during karaoke!!! Having a drink or two will surely give you more courage to try yourself on stage and spend great time with your friends. Registration – Metropolis, Henryka Sienkiewicza 7 str. Registration will take place from 20:30 till 23:00 at Metropolis Club. Metropolis is located in a central part of Warsaw. You can walk there from Metro Centrum station as well as the Świętokrzyska Metro station. Volleyball Tournament – Sports Hall at E. Lokajskiego 3 str. The official opening of the tournament will start at 08:45. The games will be played from 9:00 till 19:00 on 4 levels: A/B+, B, B- and C. Visitors are welcome to support their favourites – entrance is free. It’s only a 5 min walk from Metro Natolin station. Volup Party – Revolution, Henryka Sienkiewicza 6 str. 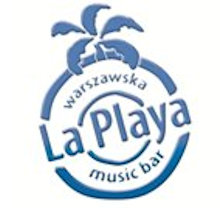 We will close off the weekend with a Sunday chill-out at La Playa Music Bar, which is a beautifully situated city beach by the Vistula River. It’s only a 15 min walk from Metro Dworzec Wilenski station. Don’t be late for a brunch served from 11:00 till 15:00.